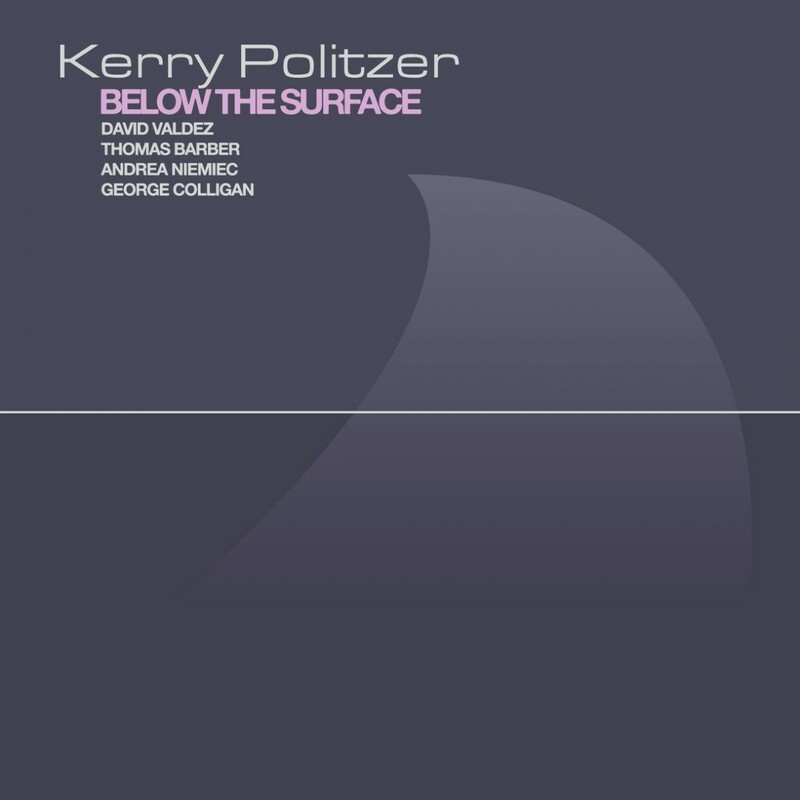 Pianist and composer Kerry Politzer presents her sixth album as a leader, “Below The Surface.” Featuring a supporting cast of some of Portland’s leading jazz musicians and complex, engaging compositions by Politzer, “Below The Surface” is the first record Politzer has made since relocating to Portland two years ago. The result is a diverse collection of groove oriented modern jazz with plenty of room for ferocious improvisation and dynamic group interplay. The opening tune, “Two Worlds,” features the horns and piano stretching out over the type of idiosyncratic groove piece which exemplifies Politzer’s writing. David Valdez’ alto sound is at once dulcet and insistent throughout his lyrical exploration of the form, and Thomas Barber’s trumpet playing is, as always, technically astounding and musically accessible. The piano solo brings things home before the recapitulation of the main theme, and Politzer’s improvising features sophisticated melodic and rhythmic explorations which adeptly reflect the written material. The record continues with “Dilemma,” an uptempo waltz which opens with a solo piano passage reminiscent of late romantic era classical composers. The title track “Below the Surface” is a rollicking groove piece punctuated by angular melodies and surprising rhythmic devices. The bands repertoire runs the gamut from latin to swing while touching on rock, tango, and other world music influences, yet always retaining a cohesive vision held together by Politzer’s sophisticated writing style and driving but lyrical piano work. The lineup Politzer has assembled is as dynamic and impressive as the collection of tunes themselves. Alto saxophonist David Valdez is a renowned educator and performer, and has been instrumental in welcoming many new arrivals to the Portland jazz and creative music community. Thomas Barber relocated to Portland from New York City a few years ago and has quickly become an integral member of the community here, performing with Darrel Grant’s “On the Territory” project, Wishermen, Gunga Galunga, and many projects of his own, including his newest band “Spiral Road.” Bassist Andrea Niemic has played regularly with regional icons Randy Porter and Alan Jones, and the drum chair in Politzer’s band is held by her husband, George Colligan, also a stunning pianist in his own right, performing with Jack DeJohnette and a who’s who of modern jazz virtuosi on both coasts. “Below the Surface” is an exciting Portland debut for a notable artist who has already developed a significant presence in a few other key cities, including New York City. In addition to studying under Charlie Banacos and graduating from New England Conservatory, Politzer has worked in other genres and won numerous awards and honors, including the John Lennon Songwriting Competition. Kerry Politzer is an exciting and welcome addition to the Portland jazz and creative music community, and her Portland debut is a promising step towards exciting future collaborations with many more of our region’s established and emerging improvising composers and composing improvisers.